Joan Elliott fans here’s a scoop from her blog. 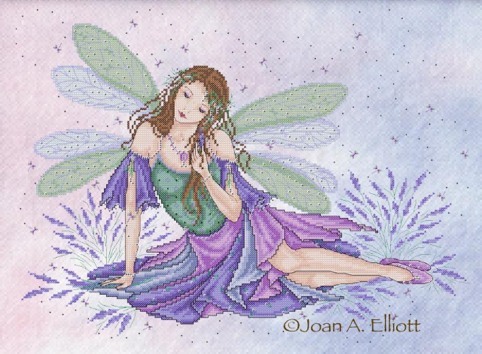 This is a preview of a Lavender Fairy that will appear in Issue 208 of Cross Stitch Collection soon. 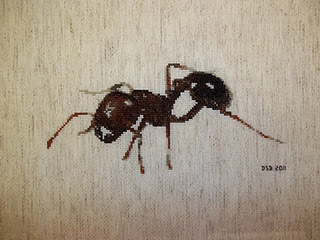 I love reading cross stitch blogs and one of my favorites is Debbie’s Cross Stitch. If you enjoy reading cross-stitch blogs as much as I do, then Kate’s Arty Bits Blog is definitely one to check out. For a wonderful selection of cross stitch gifts check out Twisted Threads on Etsy.com. Beautiful work, wonderfully presented! This Northern California blogger is one serious stitcher. Her blog is a wonderland of WIP’s and finished product. Her photography is stunning and her work is beautiful. Do not miss her impressive blogroll!! Iâ€™m Coonie (my real name is Sylvie), Iâ€™ll be 34 in September and I live in Normandy (France).